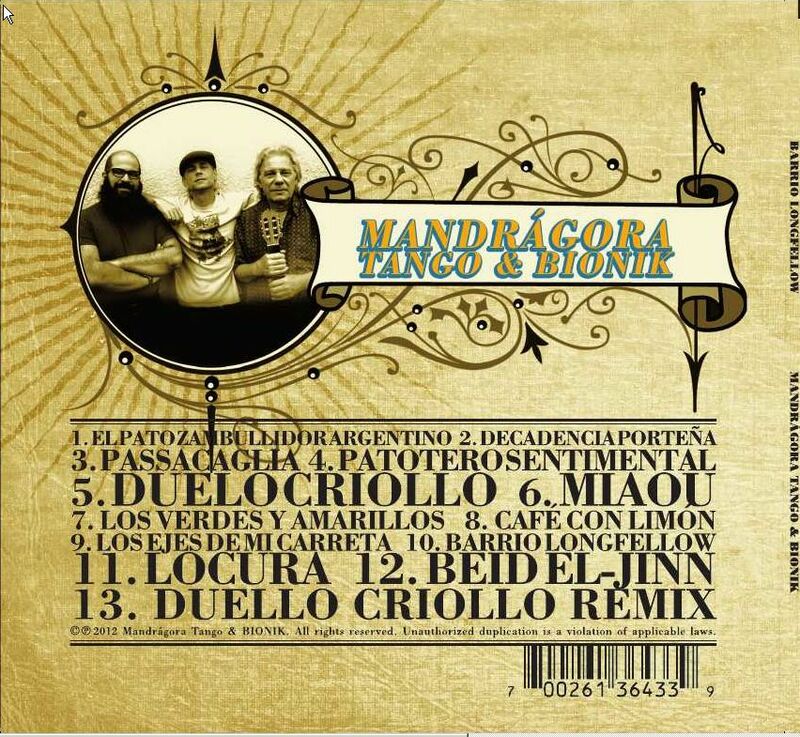 Mandrágora Tango was a Minneapolis based tango band headed by bandoneonist Bob Barnes and guitarist Scott Mateo Davies. The band stopped playing some time around 2013, but we're leaving this website up as a resource and for the memories. Please look around! 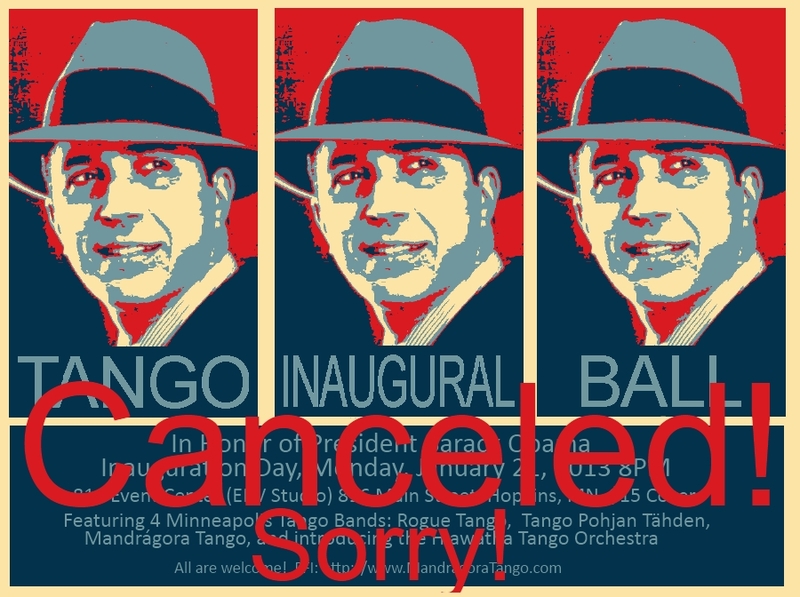 The Friday 4/26 milonga at Art Tango in Chicago was canceled by the venue. We apologize for the confusion. 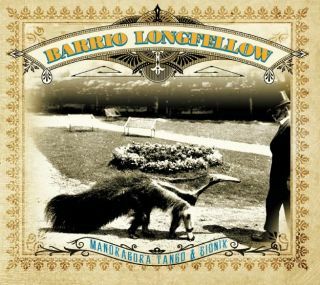 Our New Album "Barrio Longfellow" is Almost Ready! 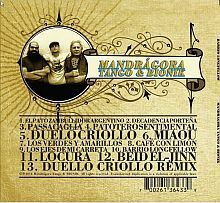 Mandragora Tango would like to thank executive producers Jennifer Kozar and Janusz Godyn, without whom this project would not have been possible! Fun fact #1: BIONIK is Mateo's son-in-law. Fun fact #2: Robert "Fish" Jones was a Mpls fishmonger with a flair for marketing. 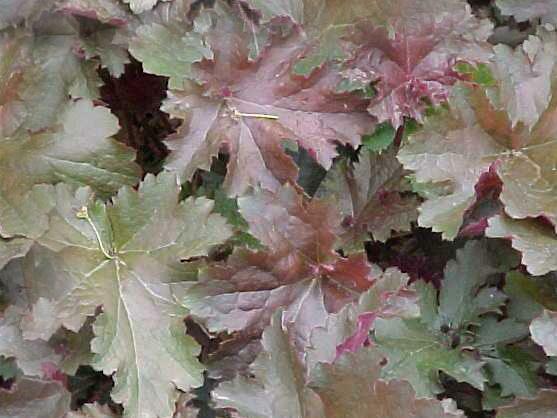 He created as Zoo called Longfellow Gardens where Hiawatha Falls Park now stands. The album art is a picture of Jones and his favorite anteater. Fun fact #3: Jones convinced the city to name our neighborhood after the poet Henry Wadsworth Longfellow. Longfellow never visited our hood.